Thieves attacked another cash-in-transit vehicle at a filling station in Kagiso on Monday morning. 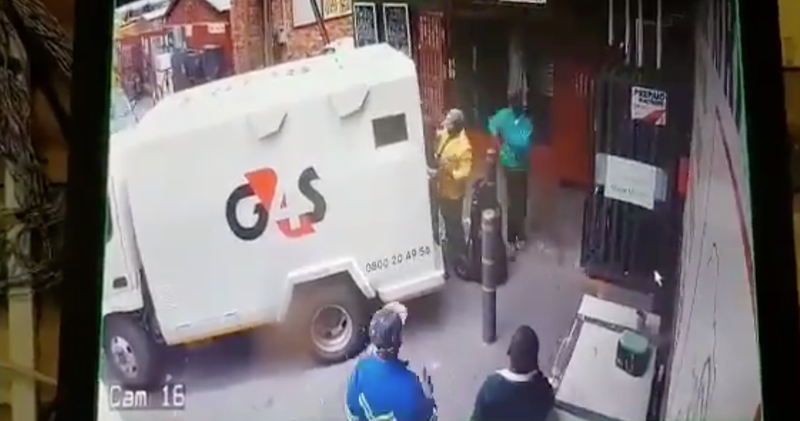 In the video, one can see three robbers coming out of what appears to be a shop in Kagiso in Krugersdorp. Their timing seems to be perfect as they surround the money right after it exits the vehicle. It is reported that nobody got hurt in the altercation. According to News24, police spokesperson Lieutenant Colonel Brenda Muridili said: "The men pointed firearms at the guards and proceeded to take their money bag. Gunshots were exchanged, however, nobody was hurt." However, South Africans feel that the security should be more careful and take extra precaution.